Faced with growing environmental threats, governments and the international community have sought ways to halt biodiversity loss and ecosystem degradation and realize global climate and development priorities. Today, expanding the global network of protected areas is a key approach for achieving the goals of the Convention on Biological Diversity (CBD), the 2030 Agenda for Sustainable Development, and the Paris Agreement on climate change. But human pressure is increasing in and around protected areas, and far from improving the lives of those affected by the growing number of conservation initiatives, land and forest sequestration through “fortress” conservation approaches is creating chronic patterns of abuse and human-rights violations. In a context where many protected areas are underfunded and therefore limited in their capacity to deliver climate or biodiversity outcomes, the push for still more and even larger parks and conservation areas only stands to exacerbate the existing funding gap and the potential for injustice. Yet, despite widespread poverty and insecure resource rights, evidence shows that Indigenous Peoples and local communities are nevertheless spending their limited resources on conservation efforts and achieving outcomes that are at least equivalent to those of government-funded protected areas. 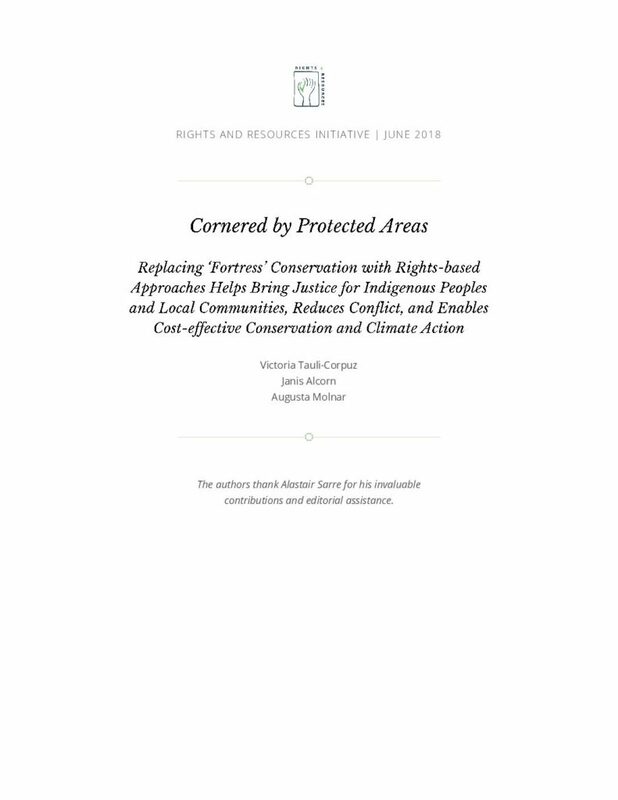 As this brief shows, there is an urgent need to replace the fortress-conservation model with rights-based approaches to both improve conservation outcomes and end human-rights abuses committed in the name of conservation. The authors thank Alastair Sarre for his invaluable contributions and editorial assistance.